We need to deviate just a bit from our normal, rather relatively tangible collectibles we’ve featured thus far, and take you to a place that only the 0.01% could ever really go. 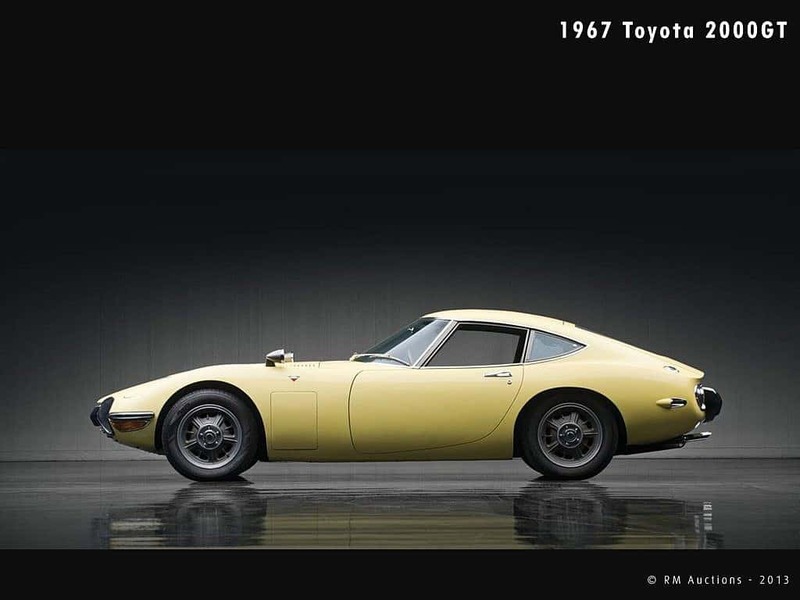 It’s not what we’re about here at Second Daily, at all…and so we hope you understand our cause for pause as we bring you Japan’s first, and one of the world’s most expensive classic supercars…the Toyota 2000GT. That’s right, a Toyota…so any slandering or mud that we might have thrown at the Camry, we recognize it does have racing collector classic supercar heritage running through its blood. In 1965 when the DOW closed the year at 969, the average cost of a new house was less than $13000 and $0.31 could buy you a gallon of gas, Japan stunned the world at the Tokyo Motor Show when they unveiled the 2000GT. Perhaps more stunning than the supermodel good looks coming from the traditionally lackluster, pragmatic Japanese automaker, was the $7250 asking price…nearly 30% higher than a Jaguar E-type and almost 200% higher than the average car at the time. Who is actually responsible for the design is debatable. What’s not in question is that Yamaha originally approached Nissan with the design and they declined. It’s the Sam Bowie equivalent of bad automaker decisions. We don’t feel too bad for Nissan though, they would soon go on to reach their own sports car stardom as you know. If you’ve kept up with our posts here and on Instagram, you know that the 34th annual Hemmings Motor News ‘Great Race’ is currently underway. 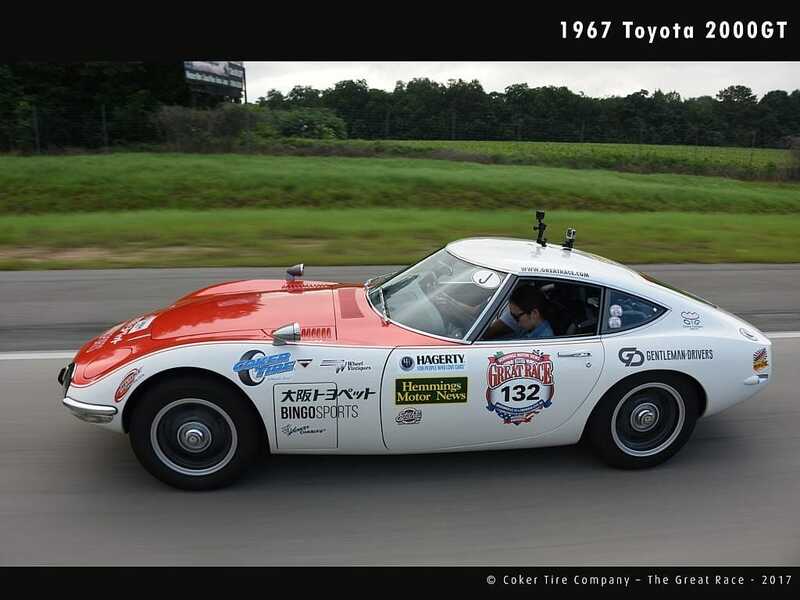 What you may not know, however, is that two very surprising entrants were present this year…a true-to-life 1958 Porsche 356/Carerra GT barn find and a 1967 Toyota 2000GT in full-out race gear. We weren’t able to get much information on it, and in fact, it wasn’t even listed on the race registration. We do know it drew a big crowd for obvious reasons. Coker Tire Co. CEO Corky Coker now manages the race, and his company has provide these incredible pictures from the event…thanks Tommy Lee Byrd and Coker Tire! What to look for? A very rich person to marry, a hit record on the radio, an invention like the personal computer, or perhaps the development of a very popular social media platform. Only 351 2000GT’s were made during the ’67-’70 production run and only about 60 of those made it to the US. One sold in 2013 at RM Auctions for $1.2M. More recently, the prices have somewhat settled down to a more respectable ~$600k. No matter what, you’re not going to daily it so it’s not even worth discussing. If you’re lucky enough to own one, our advice to sell and replace with 16 Defenders, 8 Porsche 911 turbos, or maybe 37 Volvo P1800’s is sure to fall on deaf ears. However, we do hope you’ll register and comment here so that we may understand what’s it like to have the garage option of the single most iconic Japanese supercar ever to be made. p.s. 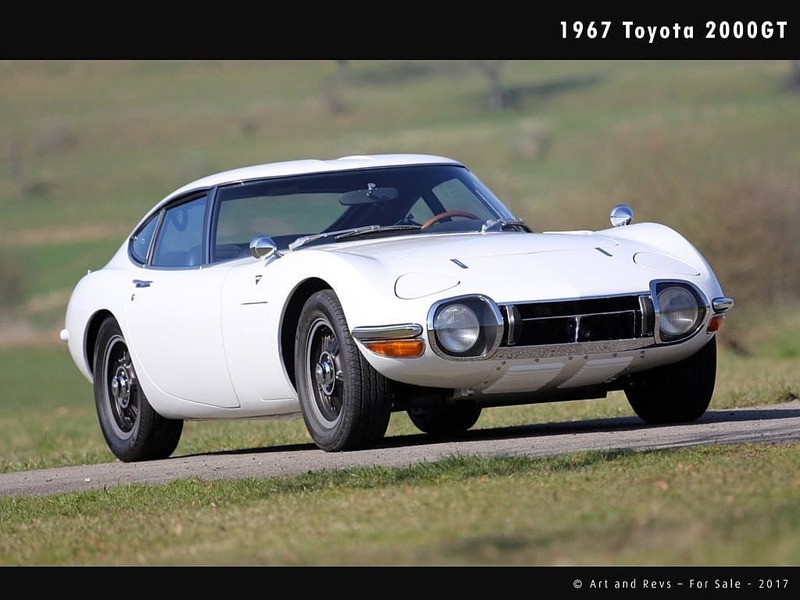 We intentionally didn’t discuss the 2000GT’s appearance in James Bond film You Only Live Twice because that would be three (unintentional) movie references in one week, and there’s just something not right with that. p.p.s. 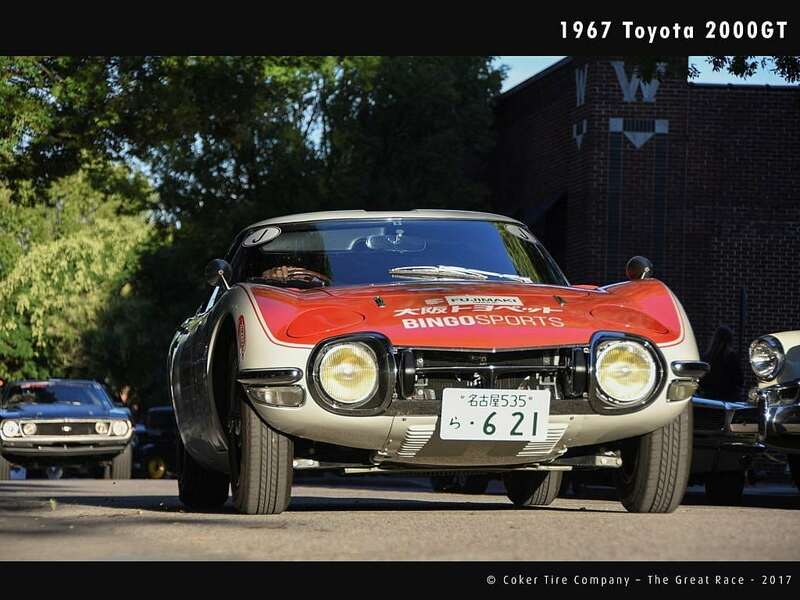 We couldn’t leave you with just pictures, we hope you enjoy this video produced in conjunction with the consigner during the recent sale of this ’67 2000GT (all copyrights to SixtySeven_Toyota and DriverSource 2016). 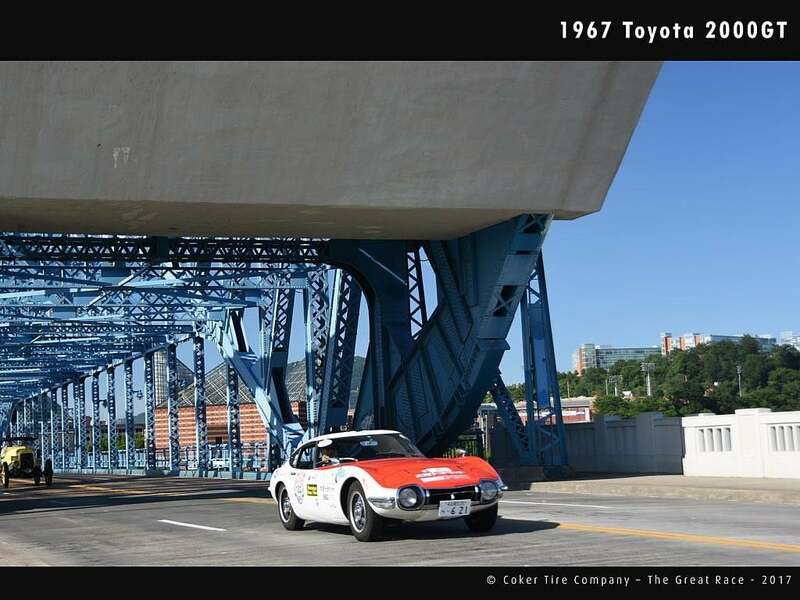 This entry was posted in Japanese Classics and tagged 2000GT, Celica, Great Race, Supra, Toyota.